The play "Hypnotized by Love" by Dusan Kovacevic, the greatest Serbian contemporary drama writer, was presented at the Cervantes Cultural Center in Chicago. The organizers of the presentation of the Serbian play were International Voices Project in cooperation with the American theater "Vitalist" and the Consulate General of the Republic of Serbia in Chicago. The roles from the play were read by the actors from the "Vitalist Theater". Dennis Barnett, a professor of dramaturgy from Iowa, translated the play from Serbian into English. This was the first presentation of the play "Hypnotized by Love" in English. 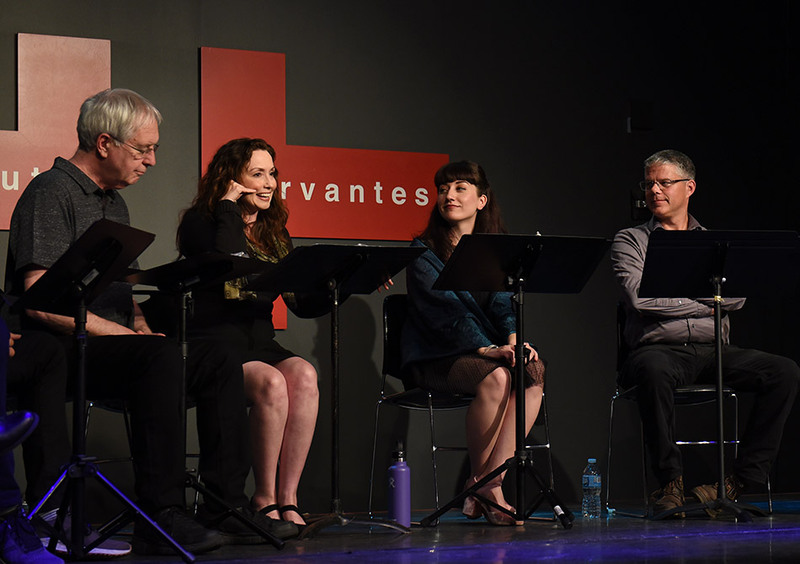 The play was featured within the 9th International Voices Project in Chicago, which also presented theater plays from Spain, Poland, Syria, Canada, Finland, Germany, India and Canada. Prior to the program the audience was addressed by Patricia Lombardi Acerra, Executive Director of the International Voices Project and Vesna Zafirovski, a representative of the Consulate General, who thanked the organizers for choosing a Serbian playwright for the Festival, and emphasized the role and significance of Dusan Kovacevic in Serbian theater and film art. Following the reading of the play Professor Barnett and actors of the "Vitalist Theater" answered the questions from the audience. The photo gallery (by Scott Dray) can be found here.